Solving chess puzzles is nice and may even be useful, but in the long run, it can get dry, when not boring. But what if you had a renowned coach explaining you all the subtleties of the position, showing you all the possibilities, the potential mistakes and, eventually, the solution? Solving chess puzzles is nice and may even be useful, but in the long run, it can get dry, when not boring. But what if you had a renowned coach explaining all the subtleties of the position, showing you all the possibilities, the potential mistakes and, eventually, the solution? And what if the puzzles were not only the classic "mate in 2 or 3," but middlegame position, where one of the colors can turn the tables in one move? 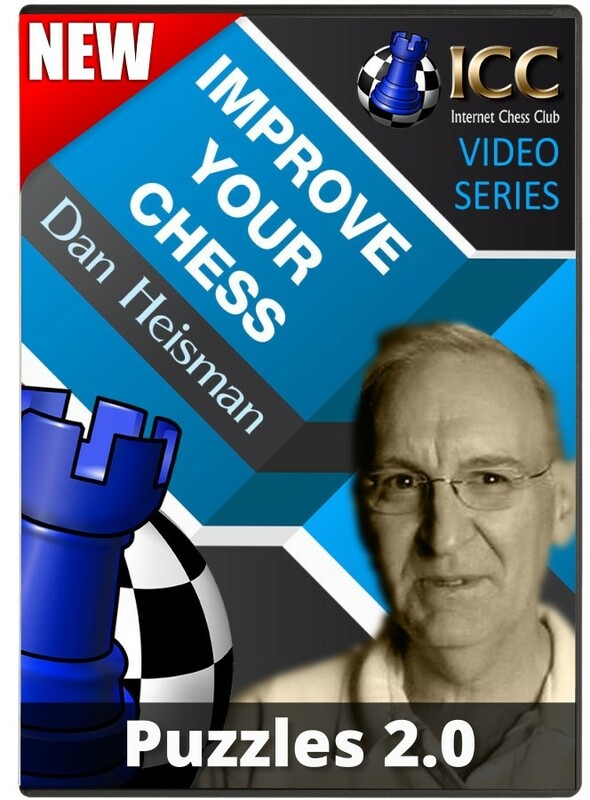 Well, you'd be getting Puzzles 2.0, the fantastic new series by Chess Coach Dan Heisman! The first one is a middlegame position, where white or black can win with a tactical shot, or a strategical sacrifice, or even just forcing its opponent into a blunder. The second puzzle is "how safe is this move?". We all know that once you have chosen your next candidate move, the first thing you need to check is how safe or dangerous it is, and coach Dan explains how to look for potential danger and how to assess the pros and cons of the candidate move. The third puzzle is what coach Dan calls "Special puzzle." It does not belong in any category, and often it's quite fun to solve! Watching these videos will help you improve your tactical sense, your visualization skills, and your general understanding of the game; all things that ultimately will boost your rating!